Fanga Dan received a big fat invitation to smoke up the narrow 1.6km driveway at Rod and Shelly Millen’s Ranch. The Leadfoot Festival invites over 100 drivers from various disciplines to race Rod Millen up his driveway. A huge variety of cars from jumping desert utes, classic rally cars to modern race machinery race up and down the iconic driveway. The festival allows car enthusiasts and kids to get up close and personal with vehicles often scene in magazines or online. 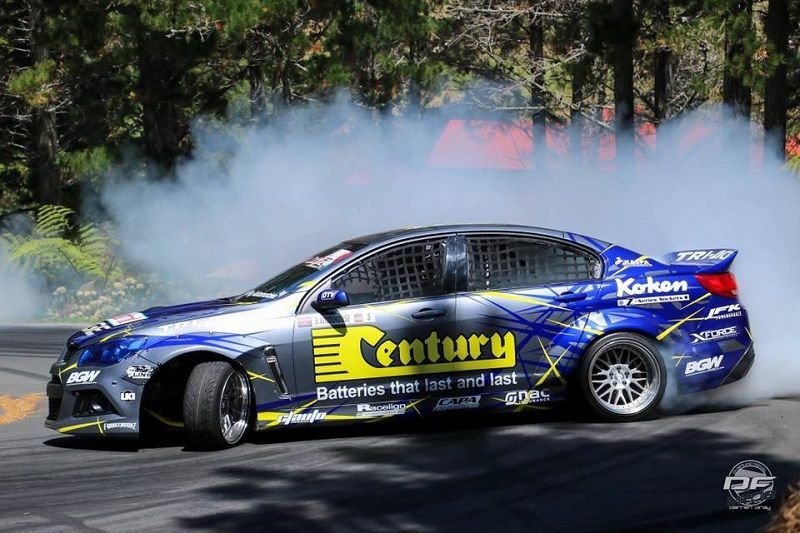 It’s the 3rd consecutive time Fanga Dan has been invited to this prestigious event, allowing him to showcase New Zealand’s professional drift scene. Navigating the 1.6km long, tight and technical driveway in the massive Holden VF Commodore skilfully, Fanga Dan gave a brilliant slide show to the thousands that thronged hillside. He even took out 2nd place for the “Best in the Show” category! Stay tuned for the next Fanga Dan’s adventure, Mad Mike’s Summer Bash at Hampton Downs, 18th February 2017!